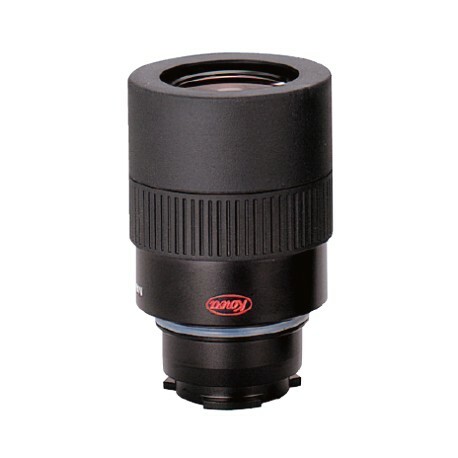 Utilizing Kowa's PROMINAR Fluorite Crystals lenses, this flagship model possesses special dispersion properties that nearly eliminates chromatic aberration to redefine the standards of color brilliance. Fluorite crystal makes for the ideal lens material with "ultra-low dispersion" properties not possessed by an ordinary optical glass. 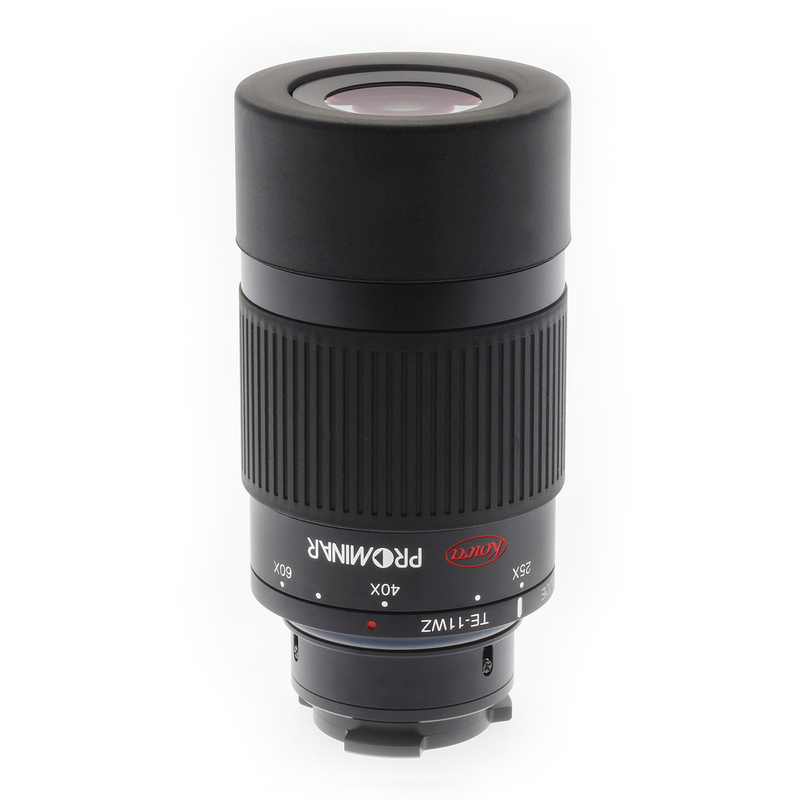 This outstanding specification adds the featured benefit of a near-completely reduced chromatic aberration, or color blur, to provide users with the ultimate viewing experience. The housing is waterproof to JIS Protection Class 7 and filled with dry nitrogen gas to prevent internal fogging to ensure image clarity. 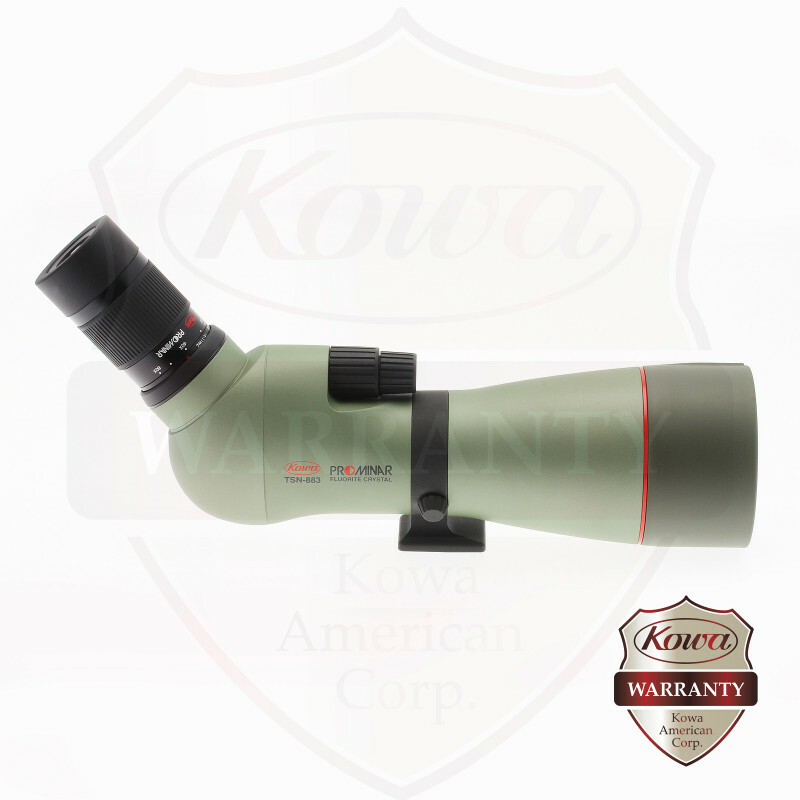 Kowa's well-developed focus system has progressed to a dual focus system with smooth movement at high magnifications for pinpoint accuracy in image display. 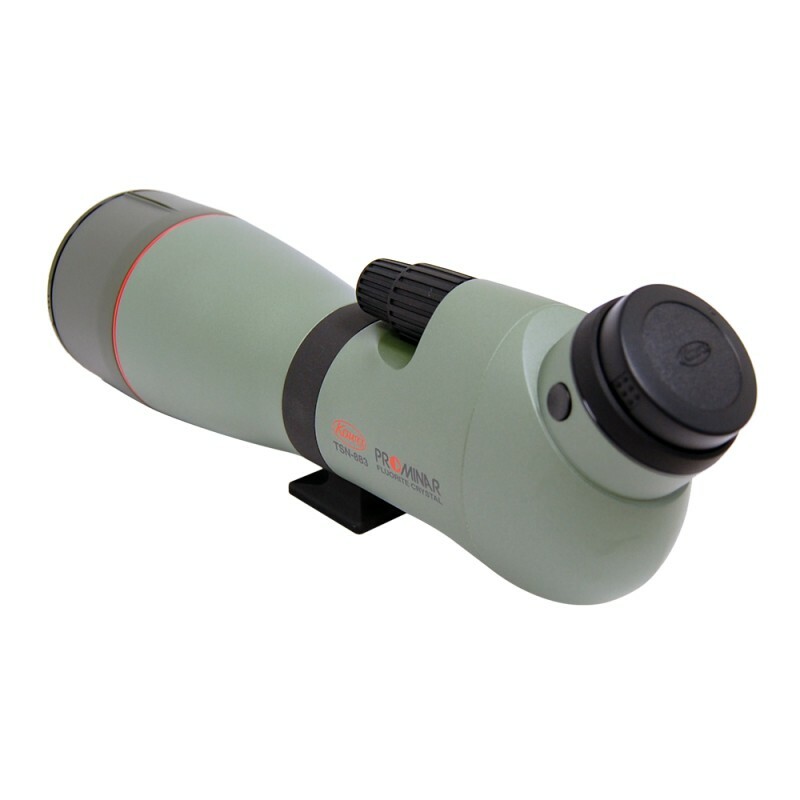 The quick focus can easily shift from infinity to 5m in two revolutions with the large and maneuverable knob. 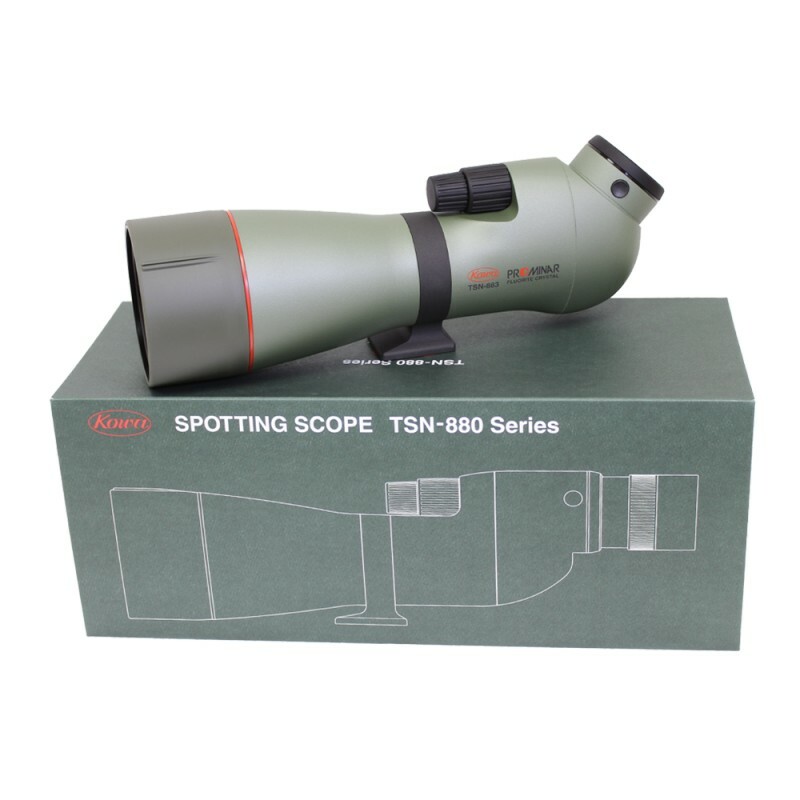 The fine focus moves fluidly to create pinpoint accuracy and is extremely useful at high magnifications and with digiscoping systems. The magnesium alloy body is constructed by a sophisticated process called thixotropic molding to give the strength and feel from a traditional metal body, but with much lighter weight. The rugged structure can tolerate the severest conditions and to the deliver the highest level of confidence and security. 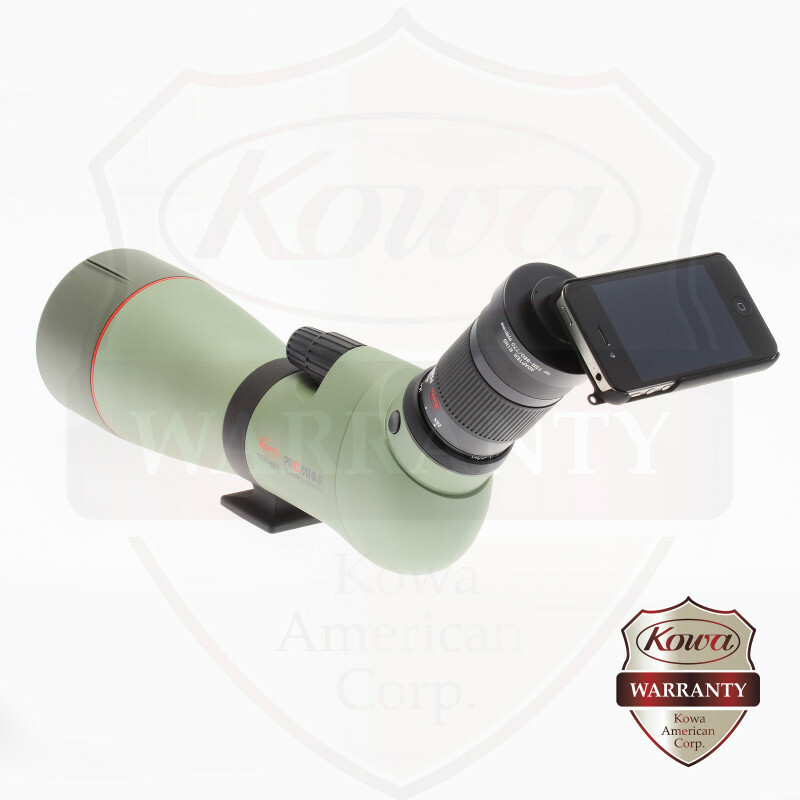 Kowa's standard eyepiece bayonet mount includes a locking mechanism to prevent the eyepiece from getting lost or falling out unexpectedly. 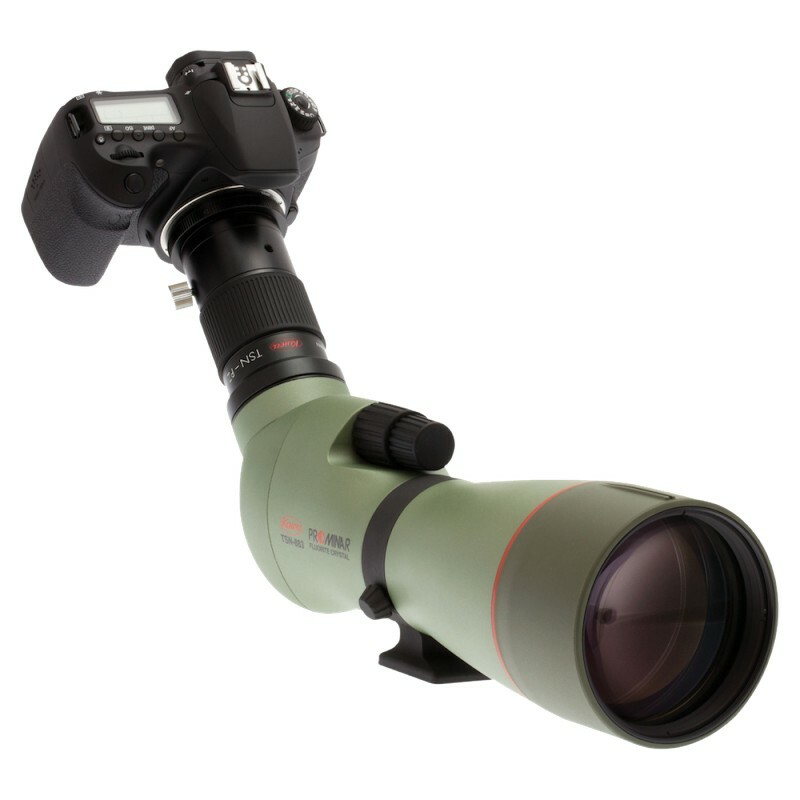 A tripod mounting screw allows the scope to be safely secured to both 1/4 and 3/8 inch mount tripods. 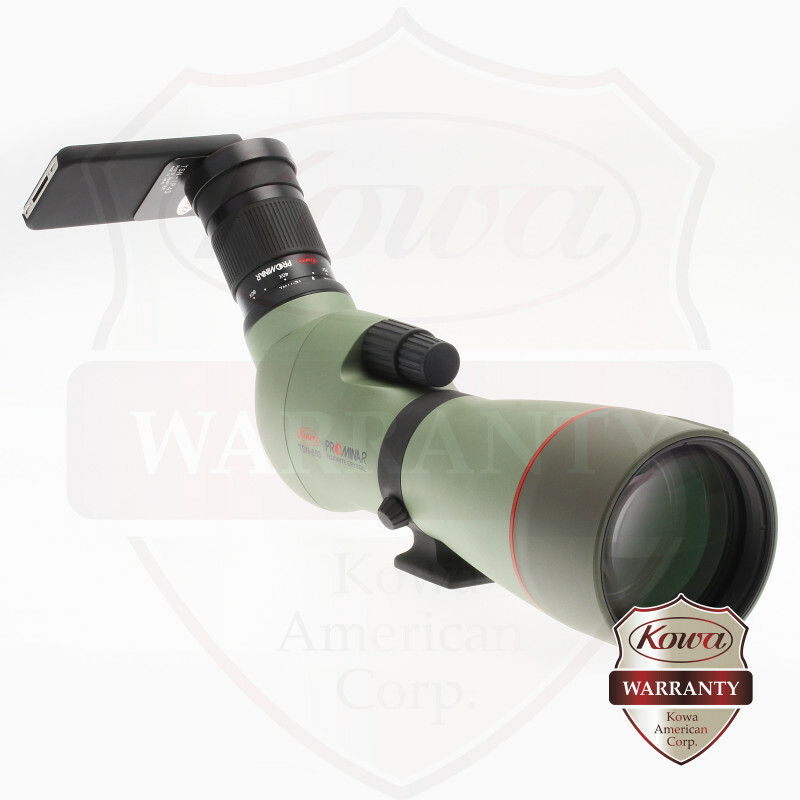 and ensures Kowa American's Limited Lifetime Warranty. 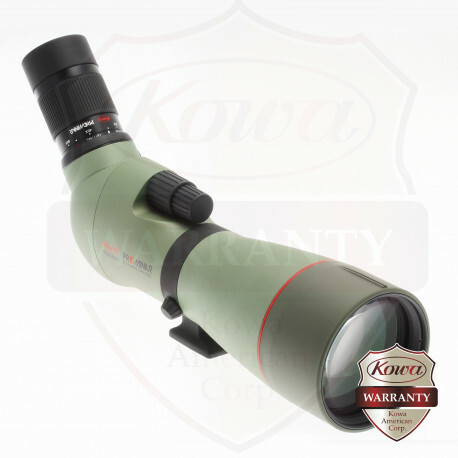 Kowa Optical Products Co. Ltd.